Some quick news about the SPMF project. First, this month I have made a few updates to SPMF. 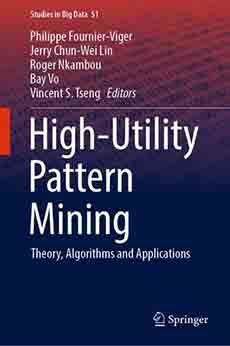 Two new algorithms have been added: USpan (for high-utility sequential pattern mining) and FCHM (for correlated high utility itemset mining). Moreover, I have fixed a few bugs, and also added a new window for visualizing the patterns found. Hope you will enjoy that new version of SPMF. Second , this week I have read a nice blog post from a user of SPMF that I would like to share with you. The title is: “Sequential pattern mining, the initial attempts” from the Gigantic Data blog by Ryan Panos. You may want to read it. Philippe Fournier-Viger is a professor of Computer Science and also the founder of the open-source data mining software SPMF, offering more than 110 data mining algorithms.